Rookie goalkeeper Jane Campbell made eight saves as the Dash won 2-1 over the Washington Spirit on Saturday night at BBVA Compass Stadium in Houston. With the win, the Dash extended their unbeaten streak to five games and improved to 5-7-2 with 17 points. Defender Poliana put the Dash on the board first, scoring in the 25th minute. Andressa played a short corner to Janine Beckie, who crossed it towards the goal. Poliana flicked it on with her head, beating Spirit goalkeeper Stephanie Labbé to the far post to make it 1-0. The Dash doubled the lead in the 53rd minute. Forward Rachel Daly passed the ball to Andressa, open at the top of the 18. The Brazilian midfielder struck it one-time, chipping it with her right foot and sending it just out over the fingertips of Labbé. Several of Campbell’s saves in the match were strong efforts, with one her best coming in the 29th minute to send a shot from Spirit defender Shelina Zadorsky over the bar. The Spirit pulled a goal back in the 75th minute. Midfielder Havana Solaun sent a pass out wide to right back Estelle Johnson, making a run into the box. Johnson sent a right-footed shot past Campbell at the near post. It was the first goal of Johnson’s NWSL career. 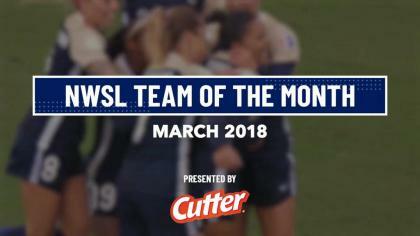 But Washington couldn’t find the equalizer as Campbell denied them again in the 83rd minute, sending another long-distance shot over the bar, this time from midfielder Kristie Mewis. The Dash played the match without forward Carli Lloyd, who was sent off last week and suspended for this week’s game. Labbé made six saves for the Spirit, bring her total to 58, second-best in the league. Washington fell to 3-7-3 with 12 points following the loss. Match ends, Houston Dash 2, Washington Spirit 1. Second Half ends, Houston Dash 2, Washington Spirit 1. Corner, Washington Spirit. Conceded by Rachel Daly. Attempt saved. Poliana (Houston Dash) right footed shot from a difficult angle on the right is saved in the bottom left corner. Corner, Houston Dash. Conceded by Caprice Dydasco. Attempt missed. Estefanía Banini (Washington Spirit) right footed shot from outside the box is close, but misses to the left. Attempt saved. Kristie Mewis (Washington Spirit) left footed shot from outside the box is saved in the top centre of the goal. Assisted by Estelle Johnson. Offside, Houston Dash. Janine Beckie tries a through ball, but Poliana is caught offside. Attempt missed. Rachel Daly (Houston Dash) right footed shot from outside the box is too high. Assisted by Amber Brooks with a headed pass. Substitution, Houston Dash. Cari Roccaro replaces Nichelle Prince. Attempt missed. Janine Beckie (Houston Dash) right footed shot from the centre of the box misses to the left. Goal! Houston Dash 2, Washington Spirit 1. Estelle Johnson (Washington Spirit) right footed shot from a difficult angle on the right to the centre of the goal. Assisted by Havana Solaun. Attempt saved. Estefanía Banini (Washington Spirit) right footed shot from the centre of the box is saved in the centre of the goal. Assisted by Havana Solaun. Attempt blocked. Caity Heap (Houston Dash) right footed shot from the centre of the box is blocked. Attempt saved. Rachel Daly (Houston Dash) right footed shot from the centre of the box is saved in the bottom right corner. Assisted by Nichelle Prince. Attempt blocked. Havana Solaun (Washington Spirit) right footed shot from outside the box is blocked. Assisted by Estefanía Banini. Attempt missed. Rachel Daly (Houston Dash) header from the centre of the box is just a bit too high. Assisted by Andressinha with a cross following a corner. Attempt missed. Mallory Pugh (Washington Spirit) right footed shot from outside the box is close, but misses to the left from a direct free kick. Attempt missed. Havana Solaun (Washington Spirit) right footed shot from the right side of the box misses to the left. Assisted by Kristie Mewis. Goal! Houston Dash 2, Washington Spirit 0. Andressinha (Houston Dash) right footed shot from outside the box to the high centre of the goal. Assisted by Rachel Daly. Attempt saved. Estefanía Banini (Washington Spirit) left footed shot from the left side of the box is saved in the centre of the goal. Assisted by Mallory Pugh. Attempt blocked. Havana Solaun (Washington Spirit) left footed shot from the right side of the box is blocked. Assisted by Estelle Johnson. Attempt missed. Estefanía Banini (Washington Spirit) right footed shot from outside the box misses to the right. Assisted by Mallory Pugh. Attempt missed. Andressinha (Houston Dash) right footed shot from the centre of the box is close, but misses to the right. Assisted by Nichelle Prince. Substitution, Houston Dash. Bruna Benites replaces Cambria Privett. Substitution, Houston Dash. Caity Heap replaces Morgan Brian. Substitution, Washington Spirit. Kristie Mewis replaces Cheyna Williams. Attempt missed. Havana Solaun (Washington Spirit) right footed shot from outside the box misses to the left. Attempt blocked. 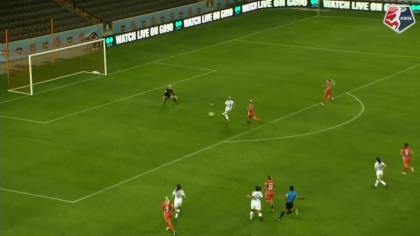 Morgan Brian (Houston Dash) right footed shot from the centre of the box is blocked. Assisted by Janine Beckie. Attempt saved. Estefanía Banini (Washington Spirit) right footed shot from the centre of the box is saved in the bottom right corner. Assisted by Mallory Pugh. Attempt missed. Cheyna Williams (Washington Spirit) right footed shot from outside the box misses to the left. Assisted by Meggie Dougherty Howard. Offside, Houston Dash. Nichelle Prince tries a through ball, but Janine Beckie is caught offside. Attempt blocked. Nichelle Prince (Houston Dash) left footed shot from the centre of the box is blocked. Attempt saved. Mallory Pugh (Washington Spirit) right footed shot from the centre of the box is saved in the centre of the goal. Assisted by Havana Solaun. Attempt missed. Cheyna Williams (Washington Spirit) right footed shot from outside the box misses to the right. Attempt blocked. Mallory Pugh (Washington Spirit) right footed shot from the centre of the box is blocked. Attempt saved. Mallory Pugh (Washington Spirit) right footed shot from the right side of the box is saved in the bottom left corner. Assisted by Estefanía Banini. Attempt missed. Rachel Daly (Houston Dash) header from the centre of the box is just a bit too high. Assisted by Poliana. Attempt saved. Shelina Zadorsky (Washington Spirit) left footed shot from outside the box is saved in the top left corner. Corner, Washington Spirit. Conceded by Morgan Brian. Attempt saved. Rachel Daly (Houston Dash) right footed shot from outside the box is saved in the centre of the goal. Assisted by Janine Beckie. Attempt blocked. Andressinha (Houston Dash) right footed shot from outside the box is blocked. Assisted by Morgan Brian. Goal! Houston Dash 1, Washington Spirit 0. Poliana (Houston Dash) header from the centre of the box to the bottom right corner. Assisted by Janine Beckie with a cross following a corner. Corner, Houston Dash. Conceded by Meggie Dougherty Howard. Corner, Houston Dash. Conceded by Tori Huster. Corner, Washington Spirit. Conceded by Cambria Privett. Attempt blocked. Cheyna Williams (Washington Spirit) right footed shot from outside the box is blocked. Assisted by Havana Solaun. Attempt saved. Rachel Daly (Houston Dash) left footed shot from very close range is saved in the centre of the goal. Assisted by Poliana. Attempt saved. Mallory Pugh (Washington Spirit) left footed shot from the centre of the box is saved in the bottom left corner. Assisted by Estefanía Banini. Attempt missed. Tori Huster (Washington Spirit) header from the centre of the box misses to the right. Assisted by Shelina Zadorsky following a set piece situation. Attempt blocked. Janine Beckie (Houston Dash) left footed shot from outside the box is blocked. Attempt missed. Rachel Daly (Houston Dash) right footed shot from the centre of the box misses to the left following a corner. Attempt saved. Poliana (Houston Dash) header from the centre of the box is saved in the top left corner. Assisted by Camille Levin with a cross.